The car is how I bought it. 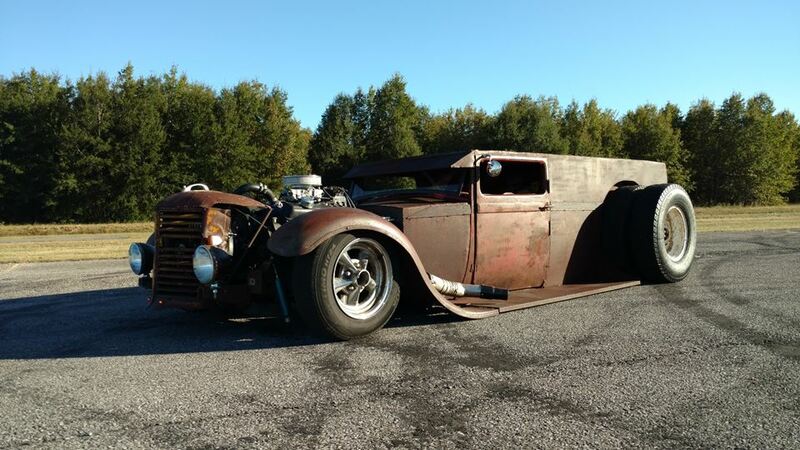 It started as a 1928/29 Model A. The builder began with a cowl and windshield, 2 doors, front fenders, rear panel and tractor grill. the rest of the body is hand built. The frame is hand built with a Nova subframe in front. A 1 ton Chevy truck provided the rear dually axle, 350 V8 engine, and turbo 350 trans. It sits on a full airbagged suspension. Finally got the axle in. Addressed the leak from the transmission dipstick tube, and got the fuel cell in.